Jensen, 28, is in the midst of an excellent season after being given more responsibility in Detroit, but will now move to a much deeper defense corps in Washington. The team already had two right-handed horses in John Carlson and Matt Niskanen that log huge minutes every night, but there’s not reason to think that Jensen won’t enter the lineup immediately and be an upgrade for the team. 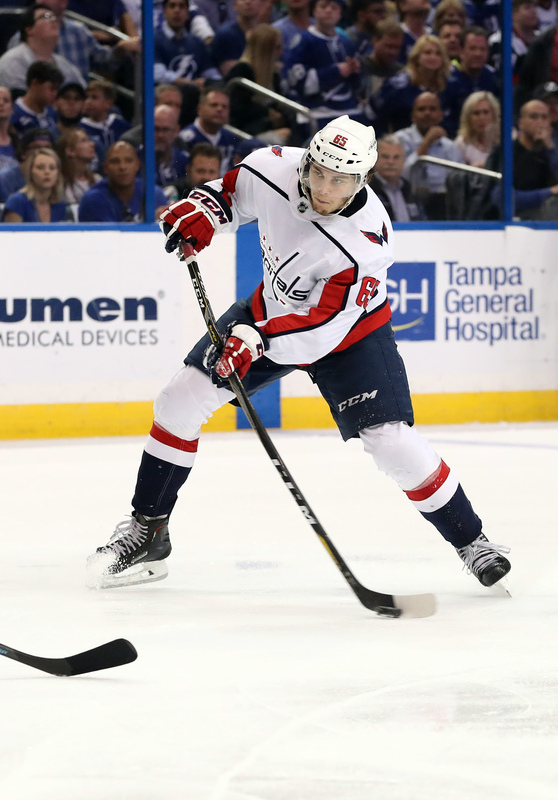 Christian Djoos played just over eight minutes against the Toronto Maple Leafs last night and is the likely candidate to come out, though the Capitals now have plenty of options to mix and match through the end of the season. That flexibility didn’t come at a low cost though, as the Capitals are giving up a relatively high draft pick and a 23-year old defenseman in Bowey who looked like he would be an NHL regular as recently as last season. Through 84 games in his short career Bowey has recorded 18 points despite averaging fewer than 14 minutes a night, and is an effective puck-moving option that could see an increased role in Detroit. The young defenseman’s contract runs through 2019-20 with just a $1MM average annual value. While it’s not a market-shattering return, it is another solid package secured by Detroit GM Ken Holland as part of his rebuild. Jensen was scheduled to become an unrestricted free agent at the end of the season and was obviously looking for a substantial raise on his current $813K cap hit. The Red Wings did explore a contract extension, but this return will allow them to replace Jensen while adding a nice draft pick to their prospect cupboard. This may be the last move that the Capitals do given that they already acquired Carl Hagelin yesterday, but it surely won’t be the last time the Red Wings are involved in a trade this season. The team still has several expiring assets that could bring back something of value, most notably Gustav Nyquist. With Matt Duchene coming off the board today the forward market is finally starting to move along, and the Red Wings will likely be watching closely. Washington meanwhile would need to move out more money to do anything else, given how close they are to the salary cap ceiling. It was clear that GM Brian MacLellan wanted another defenseman, something he has done every year—Michal Kempny, Kevin Shattenkirk, Tim Gleason and Mike Weber all come to mind—but has managed to keep hold of his first-round pick once again. Darren Dreger of TSN was first to break the deal on Twitter. 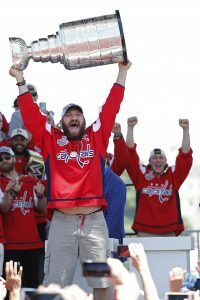 The Washington Capitals still have to reach a contract with Tom Wilson, but are close to inking all of their restricted free agents this summer. Madison Bowey is the latest to re-sign with the Capitals on a two-year contract worth a total of $2MM. Bowey, 23, made his NHL debut last season and ended up playing 51 games with the Capitals. Though he didn’t see any time in the playoffs, he still was able to experience the run with the team and celebrate them winning their first Stanley Cup in franchise history. That experience should come in handy this season when Bowey will be asked to be a full-time contributor to the team, anchoring the bottom pairing with either Christian Djoos or Michal Kempny, depending on how the season goes along. Still waiting for his first NHL goal, Bowey showed that he could be a capable puck mover at even-strength and racked up 12 assists in his shortened season despite limited minutes. That total could certainly improve going forward as the second-round pick gains more confidence at the NHL level and is given a bigger role. The league is short on capable right-handed options, and if Bowey can prove his worth the Capitals would have one of the strongest right sides in the league with John Carlson and Matt Niskanen ahead of him. Those two and Dmitri Orlov will be earning the lion’s share of the salary on the back end, leaving young players like Bowey and Djoos for the team to rely upon at a relatively low price. Heading into the trade deadline, the Canucks have a few expiring contracts to auction off in Thomas Vanek and Erik Gudbranson, while big decisions will still have to be made over the future of Daniel and Henrik Sedin. The twins are pending free agents and will turn 38 before next season, but could still be brought back to provide that support to Bo Horvat, Brock Boeser and the rest of the young Vancouver players. “Picks and prospects are going to be like gold” says Benning when asked about the trade deadline, an exciting prospect for fans hoping for no quick fixes. Speaking of GMs trying to fix a struggling franchise, Dale Tallon of the Florida Panthers said on Sportsnet radio yesterday that he’ll only look for long-term benefits at the trade deadline and avoid “kneejerk reactions.” The Panthers have played better of late, but still find themselves well out of the race in the Atlantic Division. Though a wildcard spot is still definitely within reach, it doesn’t sound like Florida is willing to spend at the deadline to try and get over that hump. The NHL handed out several fines today, issuing maximum penalties to Madison Bowey, Dustin Byfuglien and Deryk Engelland for separate incidents. The three players will face harsher penalties in the future, and draw a watchful eye from the Department of Player Safety.